At Mitomel Printmaking we believe the tools of any trade are an extension of the creator and the work itself, and these tools should embody the same ingenuity, skill, and finely honed artistry. We hold this idea at the very core of what we do, bringing into each collaboration with an artist a level of warmth, hand crafted integrity, and this age-old spirit of creative custodianship. Our bespoke manufacturing process results in tools artists love to create with, accompanied by a purchasing experience and level of customer support that is as tailored to the artist as their art is to the world. 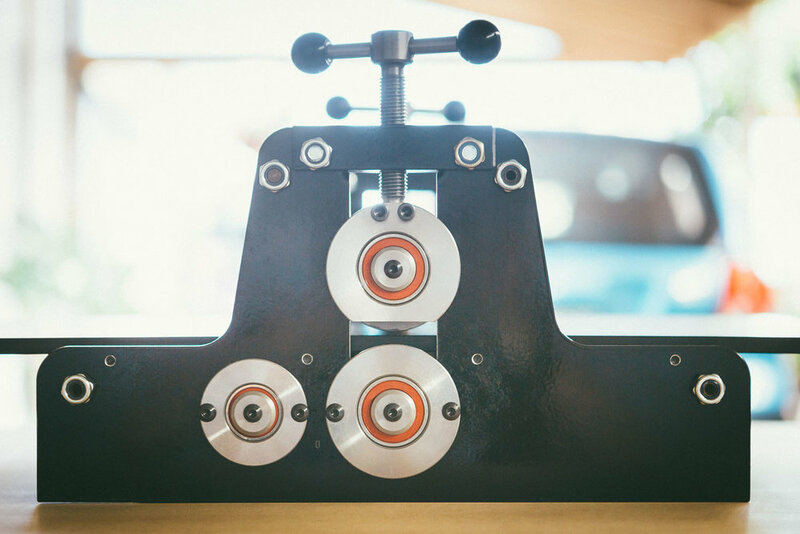 Exquisite crafting, precision engineering, high performance and overall elegance underpin the signature features of our etching presses. 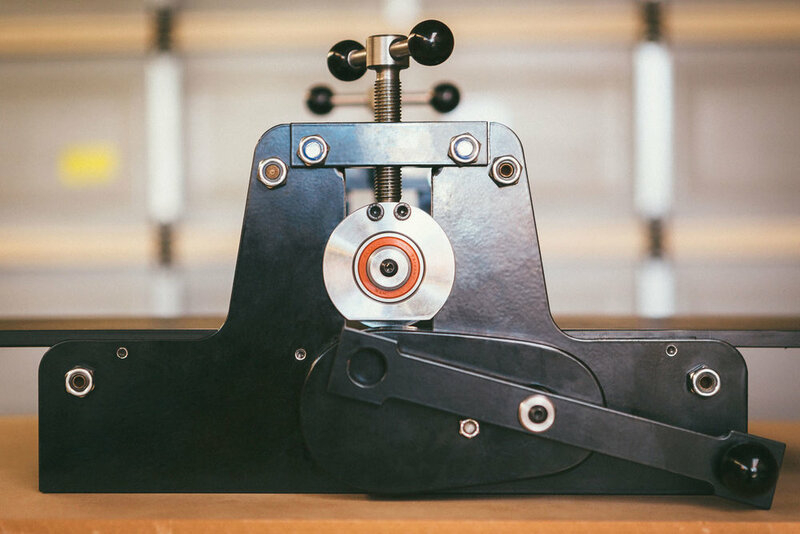 Each Mitomel press - custom-made and hand-assembled in our purpose built artisan workshop in South Australia - is tailored to exacting specifications for each artist’s specific needs. We are also proud to offer a range of uniquely customizable features including press bed length (and option of additional, easily interchangeable beds), choice from a beautiful range of industrial strength powder coated color finishes, mobile and stationary stand types, and laser-etched, one-of-a-kind name plate. We work closely with each artist to provide maximum flexibility on a range of aesthetic and fucntional criteria. This ensures each custom setup is tailored to their needs and reflects the diverse preferences and personal style of the artist, resulting in an unrivaled tool that supports their process and encourages the a consistent quality and inspired flow of work. All of our presses employ the highest standards and techniques in the industry. They are gear driven, composed of superior quality materials and components, easily earning them their heavy duty status and extremely durable reputation. 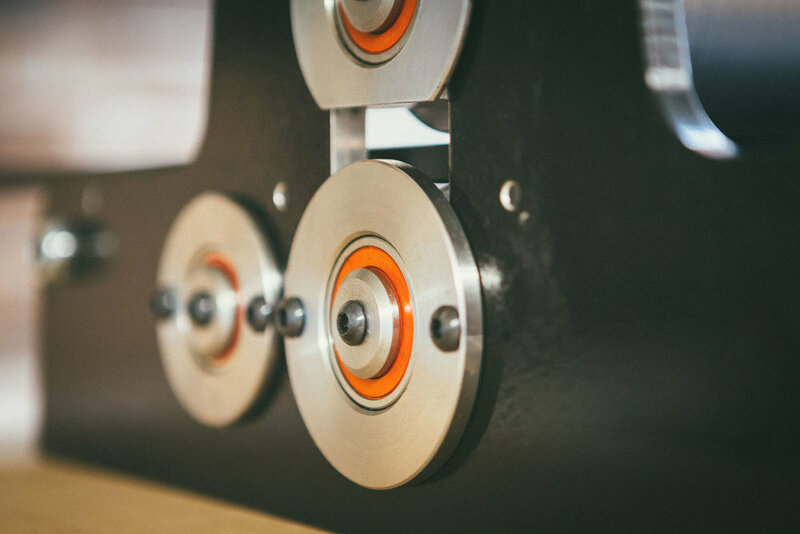 The static and dynamic load pressure ratings of the sealed bearings we use are far in excess of those required for even the most demanding print jobs. We believe passionately in our products and process and ensure consistent quality by personally attending to each enquiry by phone or email, working directly with artists throughout the entire process, providing the best ongoing and most responsive support available. We would be delighted to answer all of your questions and are always happy to provide a detailed, obligation free written proposal ahead of any purchase to assist in making an informed decision. Mitomel Printmaking offers two ranges of studio quality, professional presses - the Micron Portable Etching Press and the larger, Studio Model Etching Press which we offer in a range of sizes - both capable of printing consistent iterations and edition series of the highest quality. 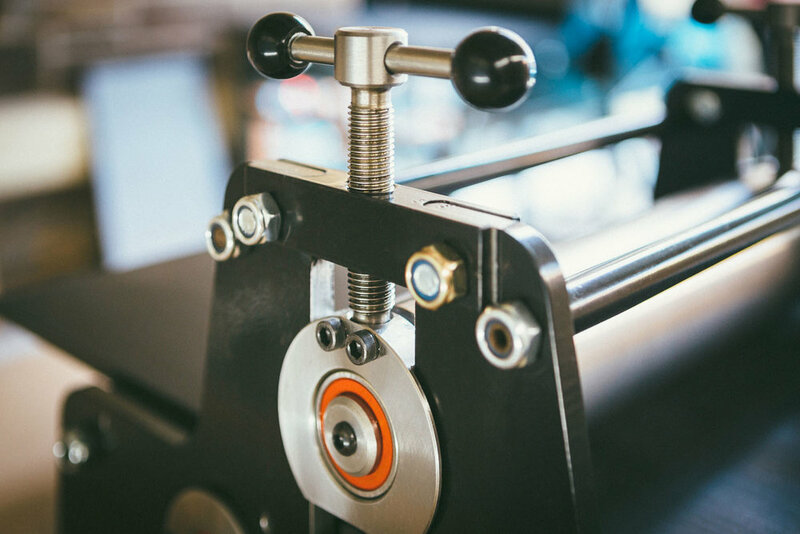 All our presses come with a set of two premium quality, pressed wool printing bed blankets with a thickness of 3/8 inch (3mm), and an engraved, one-of-a-kind name plate, branding the press with a unique name or moniker nominated by the artist, available in a range of font styles or with fully custom graphics. 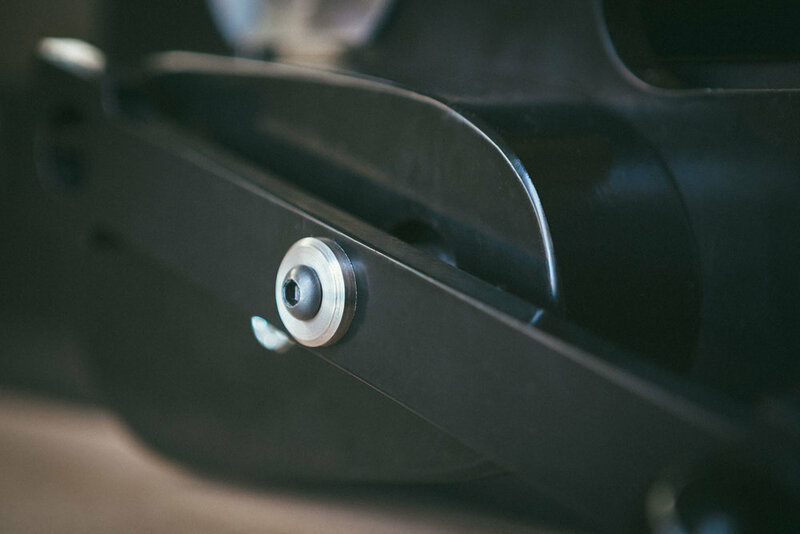 Our presses are finished in a high quality, hard-wearing powder coating - satin black as standard but again this can be fully specified by the artist in a wide range of colors and with flat, matte, gloss, or satin finish. 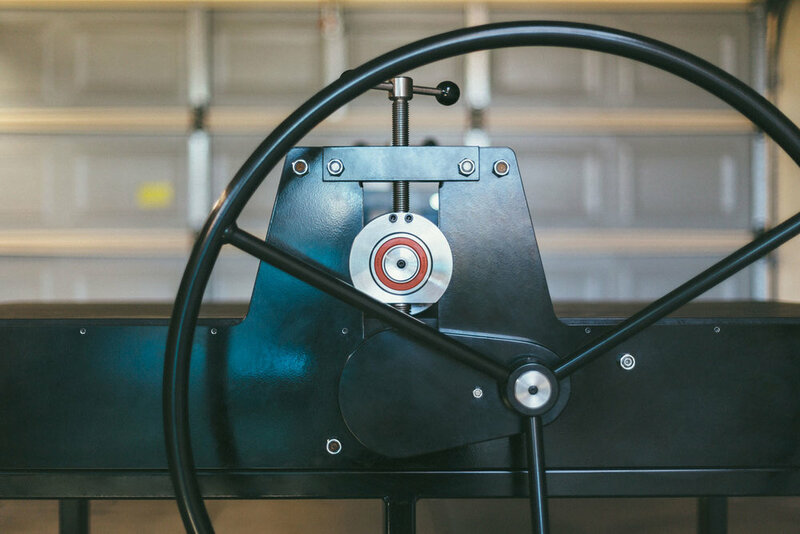 We have created presses for artists the world over and pride ourselves on safely delivering your precious cargo using only the best packaging and freight methods, regardless of destination.